Some friends say that this is my definitive portrait of Mary. 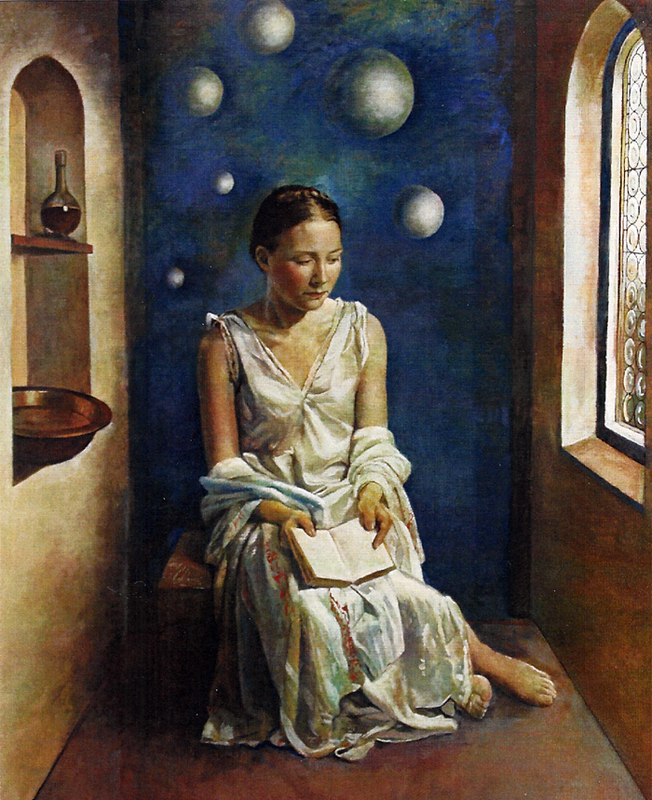 I loved painting her in the context of a deep interior space. It is always interesting to consider how much depth a painting intimates. Some paintings are deliberately "flat” while others have a spaciousness that visually stretches to infinity.